The visuals for Come Back To Me were shot at Glasgow's historic King Tut's venue, where Oasis got their big break. Liam Gallagher has unveiled the video for Come Back To Me. The stylish black-and-white visuals see the rocker perform at Glasgow's King Tut's, where Oasis played a life-changing gig that got them signed to Creation records. 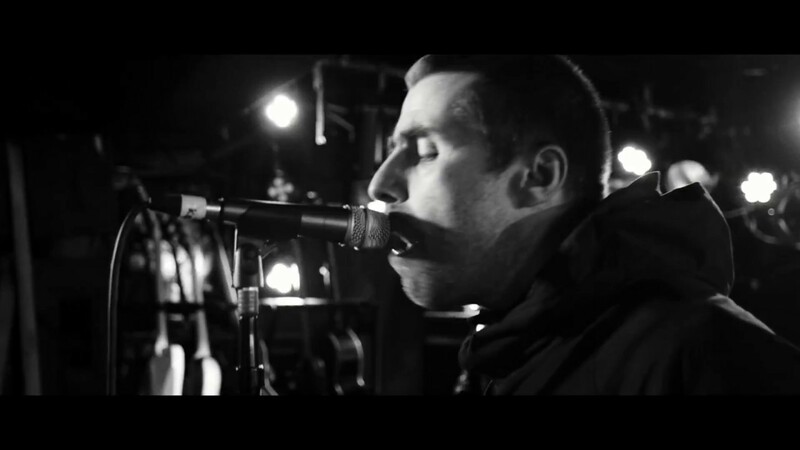 Liam previously teased his that Shane Meadows would be involved in his next video earlier this month. Taking to Twitter (though accidentally tagging a fan account) he joked that the This Is England creator wanted to star as an "extra," writing: "Just bumped into @shadymeadows hitchiking to be an extra for the video as you were LG x". Shortly after, the Wall Of Glass singer tweeted: "Massive thank you to shane meadows his crew and the beautiful people of Glasgow for making that the most pain free video of all time LG x". Meanwhile, the Wall Of Glass singer is set for a huge homecoming show in Manchester at the Emirates Lancashire Cricket Club on Saturday 18 August. Before that the former Oasis frontman is set for a string of outdoor dates, including a show at London's Finsbury Park on Friday 29 June and Glasgow's TRNSMT Festival the day after, where he'll be joined by fellow Mancunians, Courteeners.